Basement water damage and flooding from heavy rains is one problem that can take up your time, effort, and money. 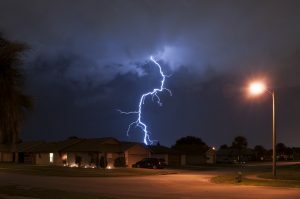 Although you can’t prevent the weather, there are things you can do to with your home to ward off potential damages incurred by WI weather. One common cause of a flooded basement is due to leaves, sticks, and debris trapped within the gutters and downspouts. Therefore, removing debris is a very effective solution to keep water from backing up, flowing OVER the gutters, and settling at the foundation of your home. Adding an extension to the end of your downspouts is another way to guide the water away from your foundation and house. Know your limitations when climbing ladders and working in dangerous areas. 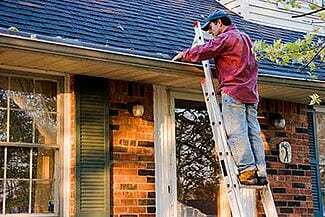 Call a professional or handyman if you are unable to clean gutters yourself. Cracks in the foundation of your house are a great contributor for basement water damage that rain water might provide. Sealing basement cracks will create a barrier of entry for water. For larger cracks, consider having a professional inspection to make sure the cracks are not part of a more serious foundation problem. Installing sump pump is helpful when your basement is notorious for flooding due to excessive rain or ground water accumulation. Sump pumps remove water and send it away from the home into storm drains or dry wells to avoid re-entry. Pump systems are normally hardwired into your home’s electrical system. In addition, another option is choosing to install a battery backup powered pump system. These are important for situations where severe storms cut power for extended periods of time. Following these 3 strategies may help you avoid basement water damage due to heavy rains. Again, always be aware of your limitations! If you are unable to perform these preventative steps, hiring a professional would be worth every penny.